Hyper- eosinophilia: absolute eosinophil count of more than 1500 per cubic millimeter. 55 yo M is seen for N and V. He has prior diagnosis of Atopic Dermatitis, Asthma, Allergy, Chronic Rhinosinusitis, HF, and frequently noted elevated troponin, Psoriasis and Weight loss. CBC with Diff is as below. CMP is normal expect for Alb of 2.6. CRP > 10. ESR 58. ANA and ANCA were negative. How do we work this up further? 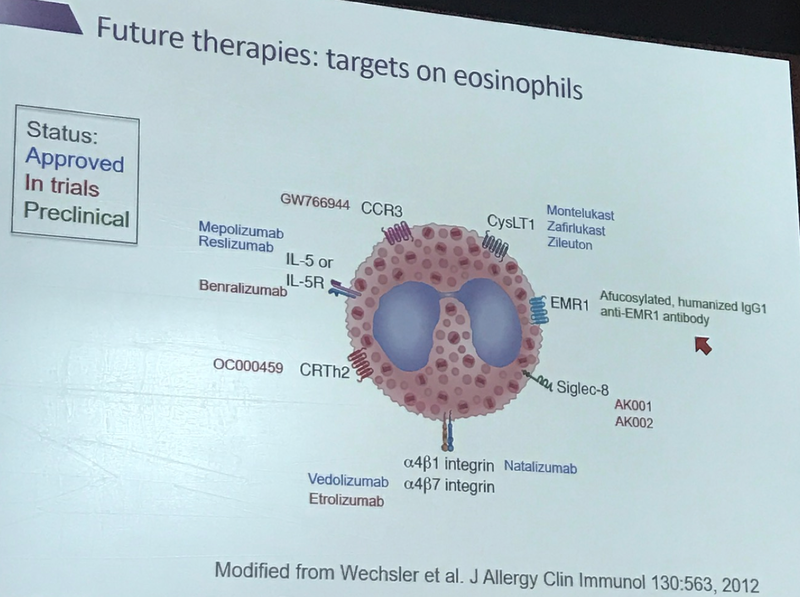 Syndromic Diagnosis of HES: Absolute Eosinophil Count is > 10000. DDx for HES to this extent includes the following. Clinical manifest ion: Is present. Is it life threatening? No. If it was emperic steroid and Ivermection should be started. Since, it is not, we should proceed with evaluation. Given cocern for Leukemia, BM biopsy is done, and reveals the following confirming it is not Leukemia. BM Biopsy is done, and reveals the folioing. At this time, following tests should be done. Serum Troponin: Chronically elevated. > 0.5 BNP is 258. Skin Biopsy is done from left medial leg, and reveals features conceding for psoriasis. ANA and ANCA were tested. Unclear why. But were negative. Ig G level and fractionation is normal. Hypersensitivity Pneumoitis profile is ordered and reveals the following. 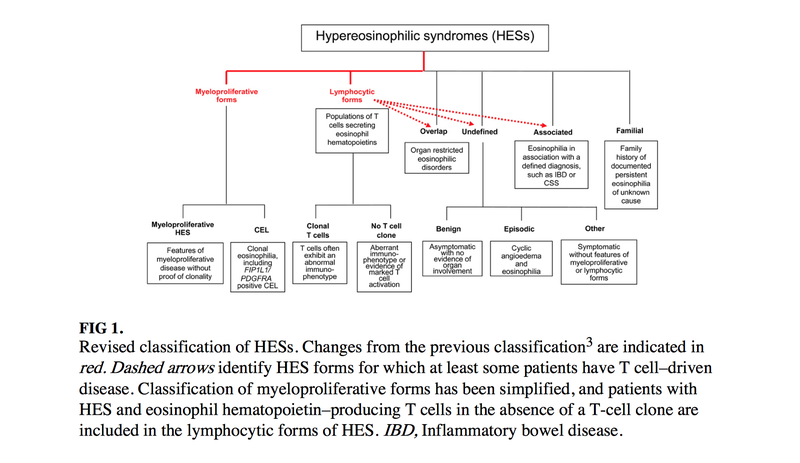 What are the current, and future treatment options for HES?